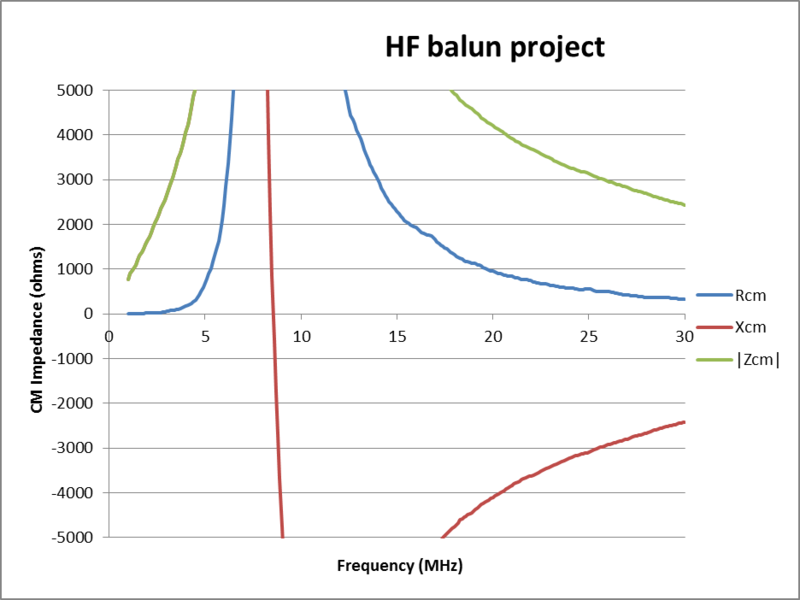 At Measuring balun common mode impedance – #1 I showed a technique that can be used with a common antenna analyser that properly measures impedance (including the sign of reactance). 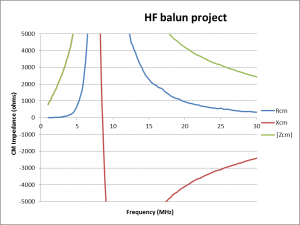 This article demonstrates a simple method of measuring the complex common mode impedance of a Guanella 1:1 current balun using a one port VNA, though of course the technique is equally applicable to a two port VNA. 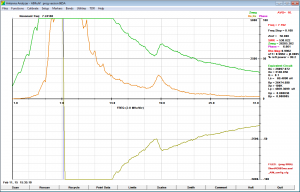 The instrument used for this demonstration is a AIMuhf with AIM 865A PC client. This is back level software as I have demonstrated AIM 882 produces internally inconsistent results. The test fixture is a 1m RG58 cable with SMA connectors, an N-M to SMA-F adapter on the AIMuhf, and an SMA socket used to connect the balun under test. I should stress the importance of good coax connections using a VNA, and in this case, all SMA connectors were tightened using a torque wrench. Prior to making any measurements, a SOL calibration process is required, and was run and saved. This makes the far end of the coax cable the reference plane and measurements will be displayed in terms of impedance at that point. During the calibration process, the above warning was emitted. The cable at 1m long is hardly a long cable, and it is used regularly on a TenTec VNA without any problems. As a confidence check, a scan of two known loads was checked for errors and they seemed good. The warning is possibly just another bug in the AIM software, but it does undermine confidence. It is really important with this instrument / software to make sure that smoothing is disabled. Smoothing has been a continuing source of problems, program revisions and continued to be a problem to this day. So, with all that behind us, we are ready to make a measurement with the choke connected to a SMA-F connector. 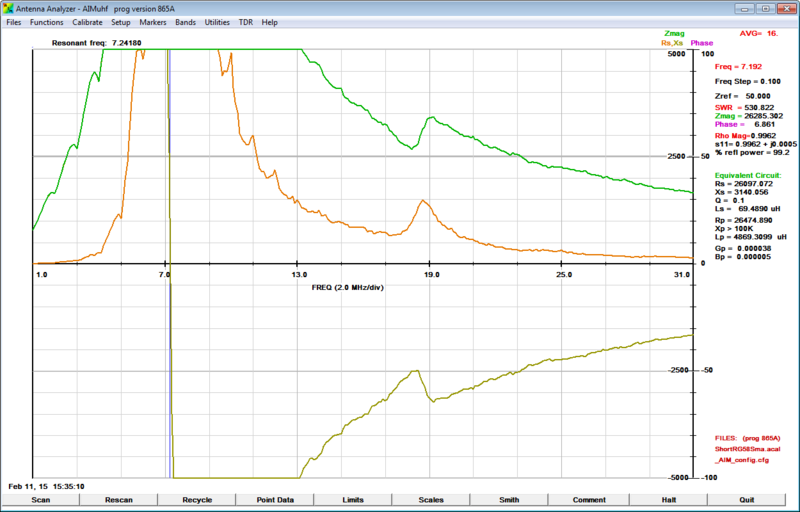 Above is a measurement made previously with the TenTec VNA, smoother curves and no sign of the glitch at 18-19MHz. measure impedance of the choke. Keep in mind that coax connections must be clean and properly tight.